Meatloaf gets a bad rap, but let’s face it — often times it’s for good reason. It’s not that attractive on the plate, has a tendency to be dry and bland, and come on — it’s called MEATLOAF. Not appealing. Growing up, my mom made a pretty decent meatloaf. She used ground turkey and shredded carrots in hers, and despite the fact that I always dipped it in ketchup, it was never one of my favorite things to eat. (Sorry, mom.) Luckily for her, I was (and still am) a pretty good eater and no Christmas Story-esque episodes ever ensued. My husband, on the other hand, loves meatloaf. The first time he asked me to make it, I wasn’t sure how to respond — I didn’t even want to eat meatloaf much less make one. I skirted the subject by convincing him that he’d rather eat something else, but despite my sly workaround, I knew I couldn’t dodge meatloaf-making forever. So I pushed my anti-meatloafness aside and started looking for what I figured was impossible — a meatloaf recipe that I thought sounded appealing and actually wanted to make. The first time I made this recipe, my husband hurled words of encouragement at me hoping that his “that smells good” and “I can’t wait to eat that” would stick and I’d remember my meatloaf-making experience as a pleasurable one. He looked over my shoulder with excitement as I sliced his portion and upon taking a bite, he declared it “better than mom’s.” Not a phrase to be taken lightly. And despite my hesitation, I actually liked it too. In a large bowl, whisk the eggs and herbs together. Add the meat, bread crumbs, cheese, 1/2 cup of the ketchup, 2 tablespoons of the balsamic vinegar, and the cooled vegetables and mix with your hands until just combined. Mold the meatloaf on a baking sheet lined with parchment paper. Whisk together the remaining ketchup, balsamic vinegar and red pepper flakes in a small bowl. Brush the mixture over the entire loaf. Bake the meatloaf for 1 to 1 1/4 hours. Remove from the oven and let rest for 10 minutes before slicing. Preheat the oven to 425 degrees. Slice the top 1/4 off the head of garlic, exposing the top of the cloves. If there’s an abundance of paper surrounding the head of garlic, peel some of it off. Put the garlic in the center of a large piece of foil and coat the top with olive oil. Sprinkle with salt and pepper, then pull up the edges of the foil to completely wrap the garlic. 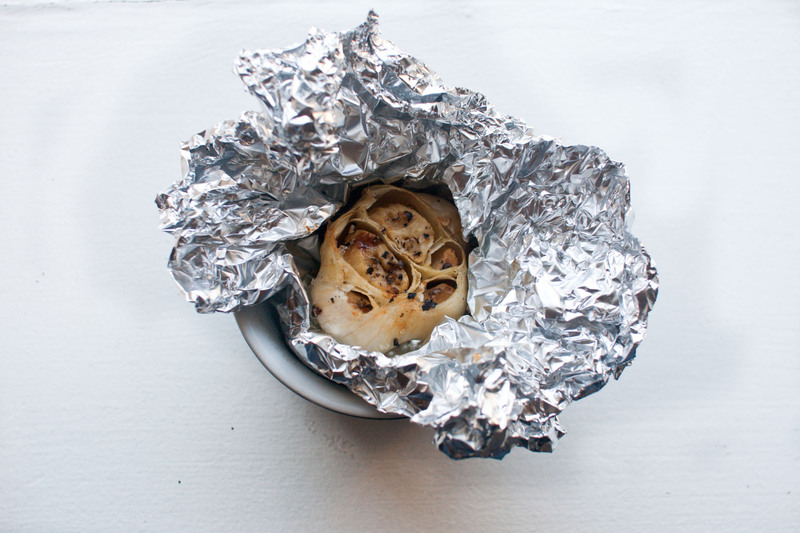 Put the foil-wrapped garlic in a ramekin or on a cookie sheet and roast for approximately 45 minutes. Remove from the oven, carefully open the foil and let the garlic cool for a bit before using. Using a large pot, cover the cubed potatoes with cold water. Add the salt and bring to a boil. Allow to cook for approximately 20 to 25 minutes or until the potatoes are tender. They’re done when the tip of a knife can easily be inserted and removed from the center of the potato. Using a colandar, drain the potatoes and give them several good shakes, removing as much water as you can. Return the potatoes to the pan and let them sit for a minute or two. This will continue to dry them out so you don’t end up with a wet mashed potato. Meanwhile, heat the half and half and butter in a small saucepan until warmed. Slowly add the liquid to the potatoes, mashing with a hand masher as you go. As you continue to mash, add the roasted garlic until the cloves are well combined with the potatoes. Stir in salt and pepper to taste. In a small bowl or Pyrex, rehydrate the mushrooms by soaking them in boiling water for at least an hour. Meanwhile, let the butter melt in a medium saucepan over medium heat — swirling it in the pan until completely melted and foamy. Add the onions and saute, stirring occasionally, until caramelized; approximately 8 minutes. Stir in the garlic and saute until fragrant. Add the Porter and thyme, raise the heat, and bring the mixture to a boil. 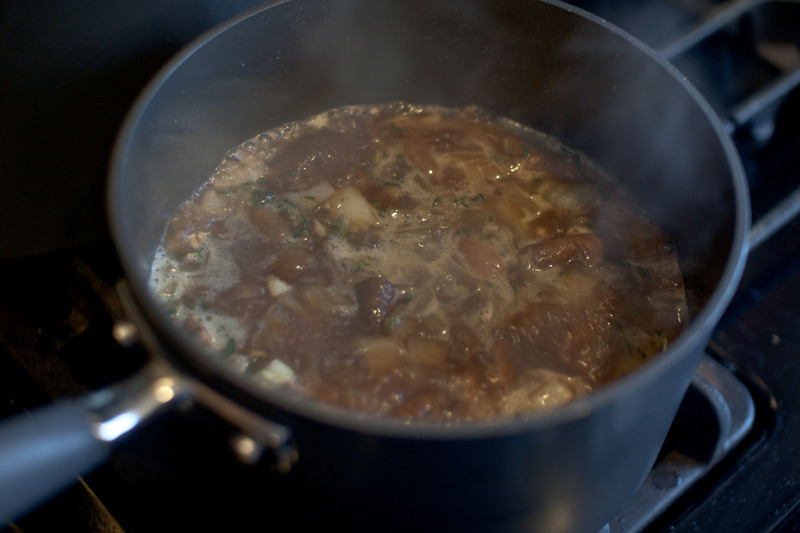 Drain the mushrooms from their soaking liquid and add them to the saucepan. Let the liquid reduce by half; approximately 10 minutes. Slowly stir in the creme fraiche and bring the mixture back to a boil until the sauce has thickened. Season with soy sauce and pepper. Keep warm until ready to serve. Lookin’ great, sistah! Every recipe I’ve adapted from Flay has been a great one so I bet this one is too. Love the porcini-porter sauce too. 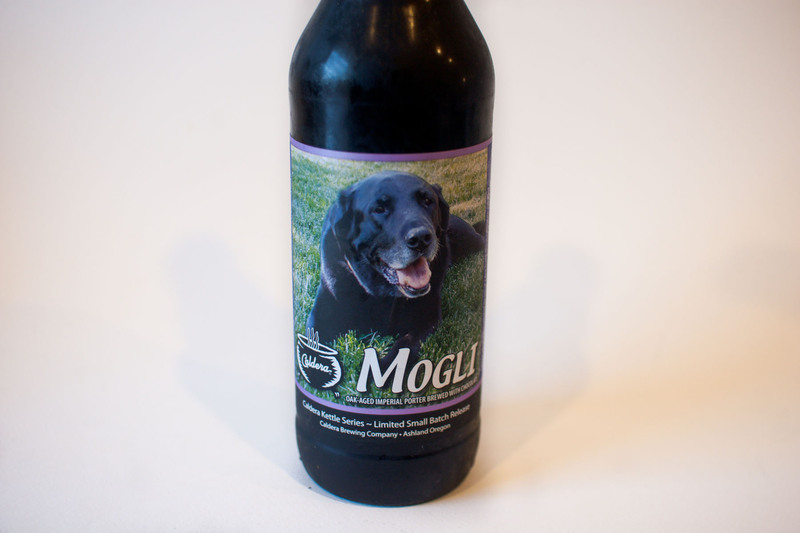 Anything with beer in it is bound to be fantastic! Meatloaf does not get a bad rap around this house. 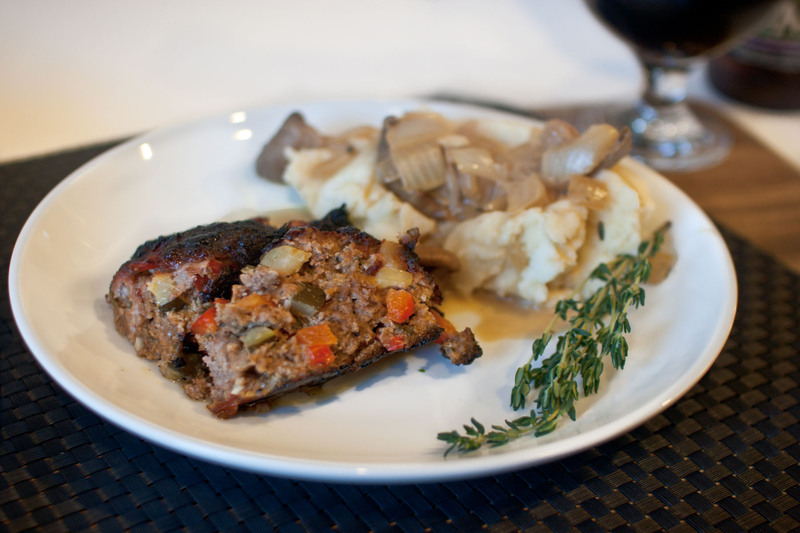 I’ve got several version that I love to make … and yes, my mom made great meatloaf too. Love this idea and that sauce … and those potatoes. I’m instantly hungry. I have always liked meatloaf for some reason. What a compliment from your husband! !